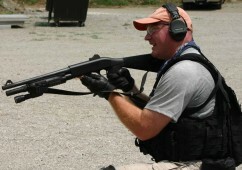 The shotgun may be the most misunderstood small arm in the modern defensive arsenal. It is an excellent tool capable of superior precision at ranges exceeding 100 yards. Inside distances of 20 feet, where 91% of gunfights take place, the shotgun reigns supreme. Join us and learn!